Tag Archive | "Ecuador Export Expedition Tour"
Exporting Small Business Ideas is a great way to earn income and gain freedom wherever you desire. Exporting goes way beyond things. The best exporters cross borders looking for ways to move ideas. employment of thousands of people through fair trade. Exporting and importing are two of the driving forces that have helped develop the modern world as we know it… and those who export ideas are among the highest paid people in the world. Take my start in international business as one example. Though you’ll see an example below that may be a million times better. My global adventure began in 1966 when I became an insurance salesman for Prudential Insurance Company and learned American sales technology. In the late 1960s this knowledge became a big American export. America, the big winner of WWII saw its middle class explode with baby boomers, from the mid 1940s. The same emergence in Europe, England and Japan took 20 years longer due to the rebuilding required after the war. This meant that from the mid 1960s, a middle class rich enough to buy mutual funds was emerging globally. This market had not experienced Fuller Brush Men… Encyclopedia sales people… door to door salesmen… car and insurance sales people who had perfect the art of sales. This created an entire… huge industry of offshore mutual fund companies… all developed by Americans with sales experience. Our shamanic Minga tours exports ideas on different ways to maintain natural health. 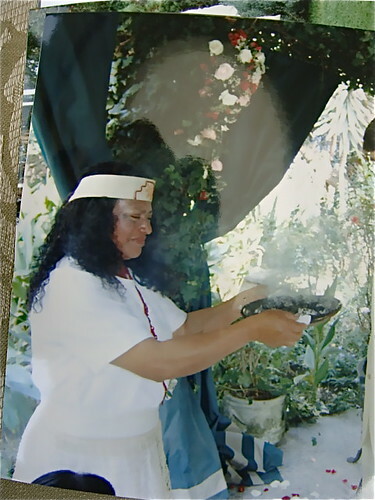 Here is the Shamana of Zuleta teaching a tour about herbs for balancing and healing teas. Of course many of our readers have learn to bring exports stuff… things from Ecuador. The markets are loaded with wonderful… low cost…. 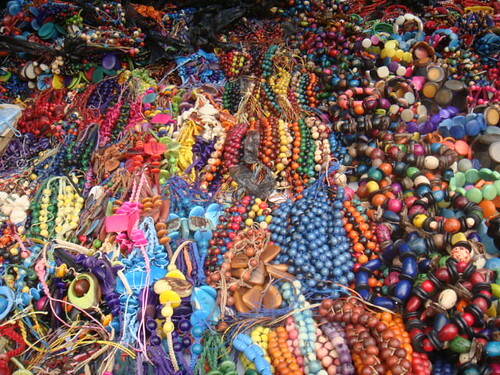 high quality crafts… textiles, art… jewelry and such like the goods above photoed in Otavalo market. 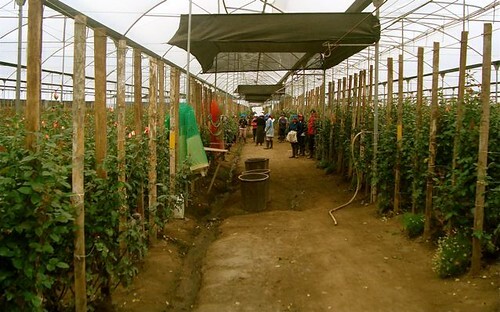 However you can also benefit from bringing ideas to Ecuador. 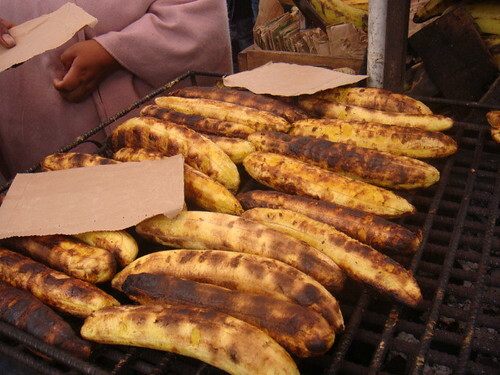 Take for example food stalls like this banana vender in Otavalo. A lot of American food has exported really well (sadly) such as Coke… McDonalds and Pizza Hut. Yet there is room for more… smaller specific ideas. There is an exportable food idea in the excerpt from a Time article “Gourmet On the Go: Good Food Goes Trucking” by Joel Stein. Picture of Choi and his gourmet-food-truck from Time article. Gourmet food trucks are democratizing the local-and slow-food trends that started with restaurateur Alice Waters in Berkeley, Calif., and were spread by the Food Network. Although the goal of these trucks is to be quick, convenient and cheap, they are decidedly anti–fast food. They’re about dispensing Alice Waters food in a McDonald’s manner. How profitable could exporting an idea about food be? 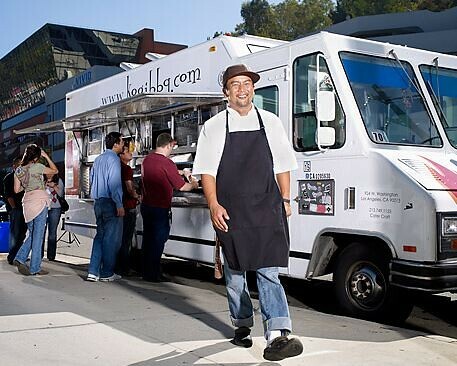 The Times article says: Kogi made $2 million in revenue in its first year, on checks averaging $13 per person. It has given rise to a number of copycat Korean-taco trucks and inspired the Baja Fresh chain to add short-rib tacos to its menu. 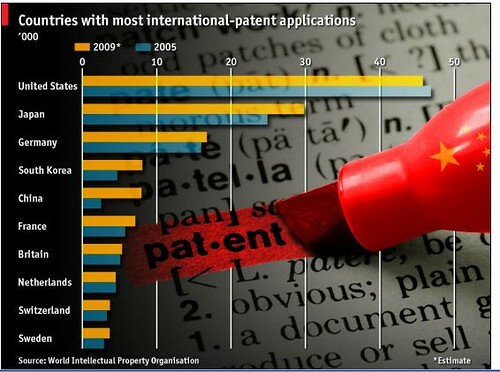 Here is a bigger better example of the kinds of profit that can come from importing and exporting ideas. When I first moved to London, England in 1970, another American had moved there, Peter Morton. Peter was only 22, but his family were highly successful in the restaurant business. He had a simple idea… “English hamburgers are terrible… American hamburgers are good”. He decided to get into the family industry and borrowed $25,000 from his dad to open the Great American Disaster in London. Peter Morton’s simple idea in 1970 was to import the idea of an American hamburger to England. Initially, he thought he was just opening a good place for visiting Americans to get a hamburger. What he wound up doing was introducing the various joys of American food to England and Europe. He beat McDonald’s. He had such success that within a year, he started another London restaurant. You have heard of it… the first Hard Rock Cafe. In 1995 a British company acquired the cafes owned by Morton for $410 million, but he retained the Hard Rock Hotel and Casino in Las Vegas. In 2006, Morton sold the Las Vegas Hard Rock Hotel for $770 million. That’s over a billion reasons, along with the evolution for humanity… the fun… self fulfillment and the adventure is why importing and exporting ideas can help increase your income, freedom and success. Join Bonnie Keogh in Cotacachi, Otavalo, South America’s largest indigenous market and other markets for our Ecuador Export Tour. Here are Ecuador exports that Bonnie Keogh (who leads our Ecuador export tour) displayed at our a recent course. Join us for a multi tour program beginning with our April 12 -15 Ecuador exports at our Ecuador Export Expedition Tour ($499 or couple $749). 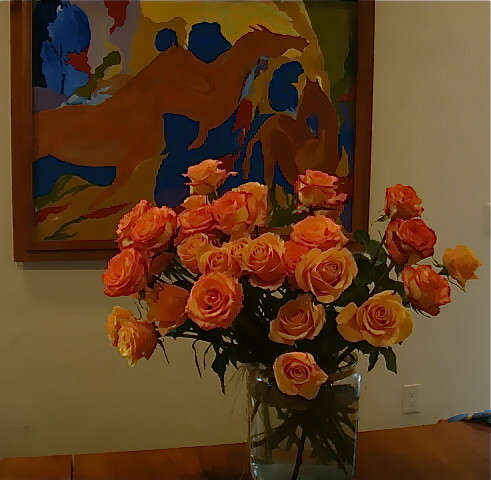 50 Long Stem Ecuador Roses for Mother’s Day here. 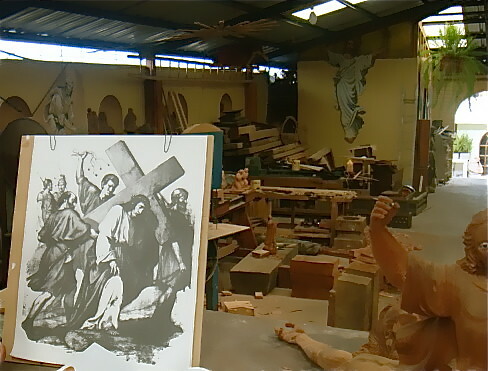 Here is a story about exporting Ecuadorian art that has never been told in its entirely. 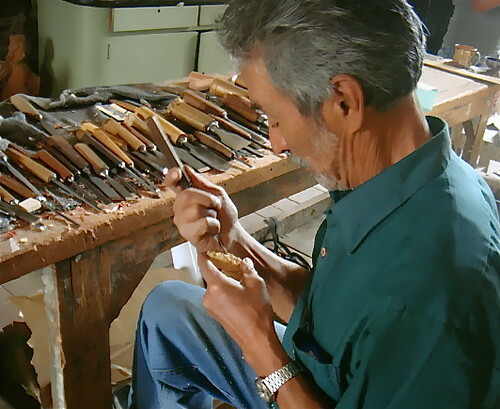 This story, about people and ideas, can bring you extra income… especially if you love art and fine crafts. 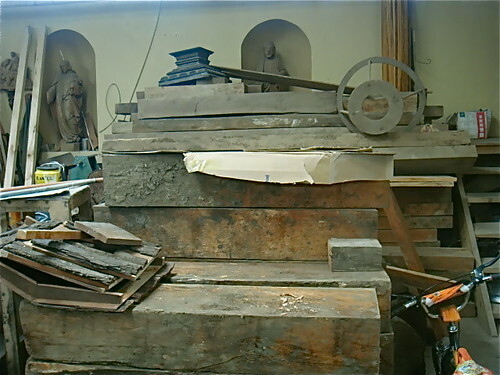 See below pictures of an Ecuadorian workshop that have never been shown before. The story begins long ago when Diana Carrasco, one of Ecuador’s best known artists and designers who lives in Cotacachi, studied philosophy and literature at Cuenca University. 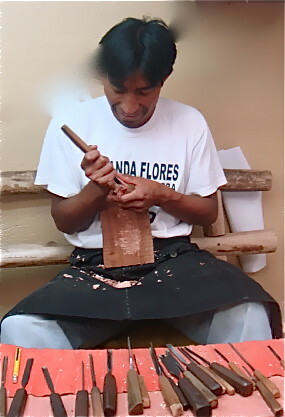 She designs and creates unique Ecuadorian art and has artisans who produce her creations in a previously secret way. 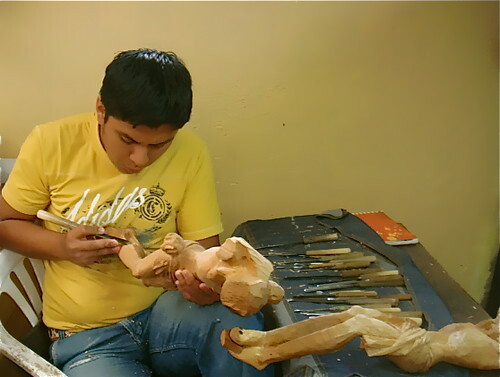 Her passion even at university was handicrafts and art. This interest broadened when she studied in the US before becoming the Director of Tourism for Southern Ecuador which required travel to places like Cuzco and Mexico. Then she became Sub Director of Ecuador’s National Tourism. That post led her on many travels, Europe, Israel and Latin America during a time she was doing a post-graduate degree in tourism projects involved with handicrafts. 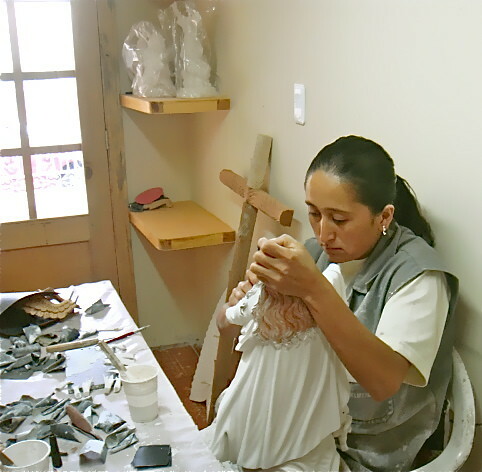 Diana realized that Ecuadorian artisans were extremely talented but often lacked imagination so she organized an Ecuador competition and exhibition of design in handicrafts. 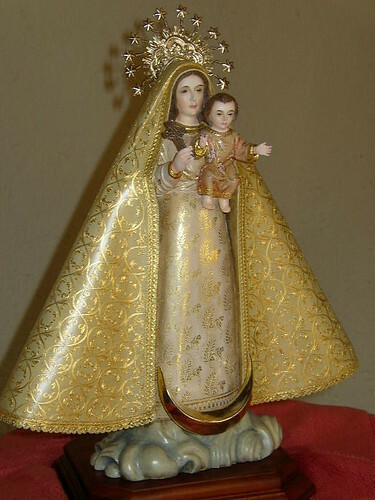 Wooden carving of virgin designed by Diana Carasco and made by her dedicated craftsmen in her own workshop at San Antonio de Ibarra. 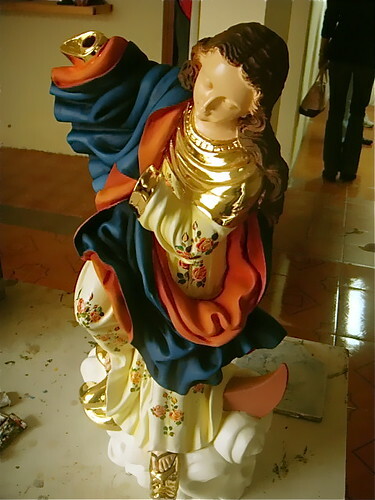 Later she traveled to Seville for EXPO 92 representing Ecuador where due to lack of funding, Ecuador exhibited the worst of Ecuador’s craft. 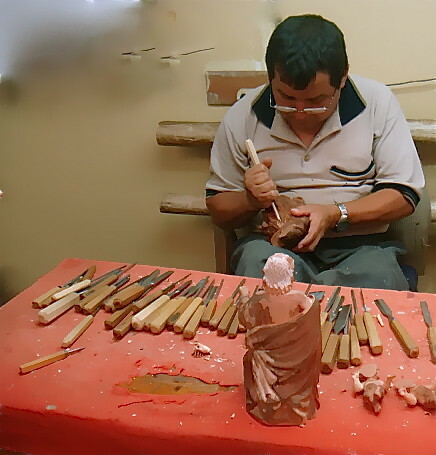 Disillusioned she resigned her government post on returning with the belief that if Ecuadorian craftspeople could be guided, their work would be much better. At that time the mentality was to produce a lot of craft of inferior quality to make a living. 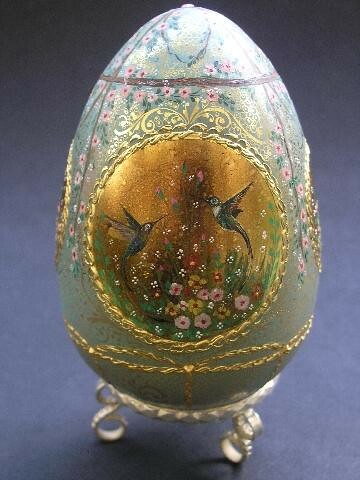 incredible gold and bejeweled wooden Faberge eggs! These eggs are incredibly precious, but because they are made out of wood, they are not fragile. She guided her workers in her workshop as they openly admit “we can copy but we can’t create”. 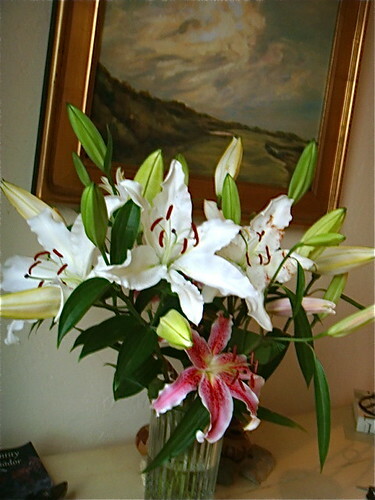 Proportion; size of arms and legs are equal in proportion, flowers painted to the correct size. 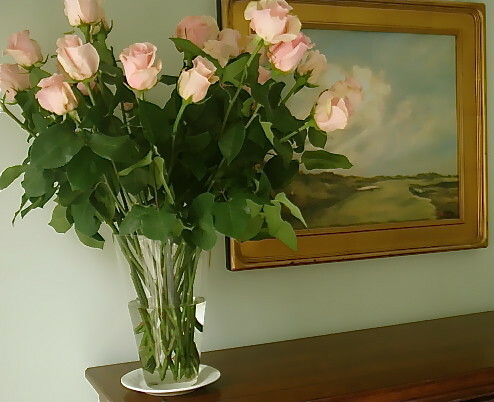 Elegance; her art brings elegance to people’s homes. 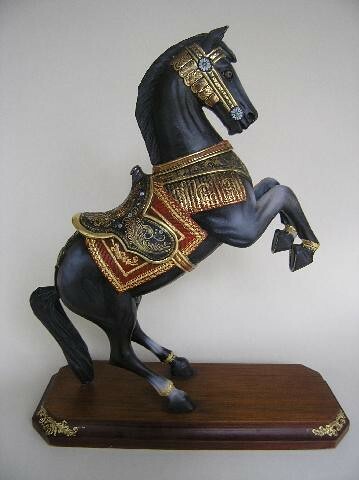 Fantasy; the creativity used brings fantasy to worldly subjects. Diana’s creativity comes from her own life, nature, Ecuadorian folklore and her own travels. 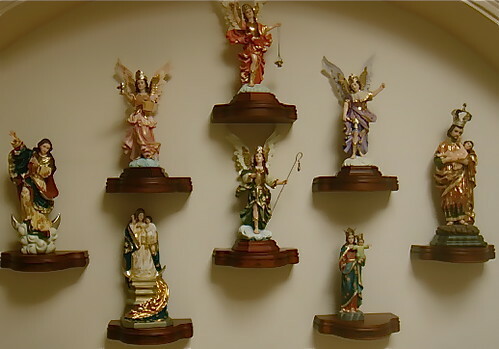 She started with just religious symbols – she saw plain ornaments in crafts villages and thought – why not paint them with gold? 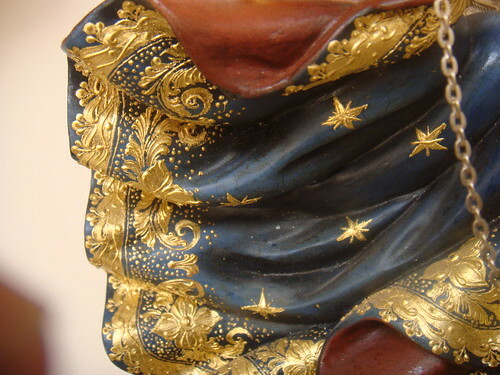 Her wooden hand carved statues are then covered in gold leaf which is then revealed by etching the underlying design from the overlying oil paint. Recently Merri was invited by Diana to visit her special workshop with a few friends. This was the first time the public had been allowed inside… and photos to be taken… ever. None of us have ever known before its location or the people who create for Diana! work applying plaster… gold leaf and paint. We help readers turn their passion into extra income… doing what they love… with people they like, in places they enjoy. 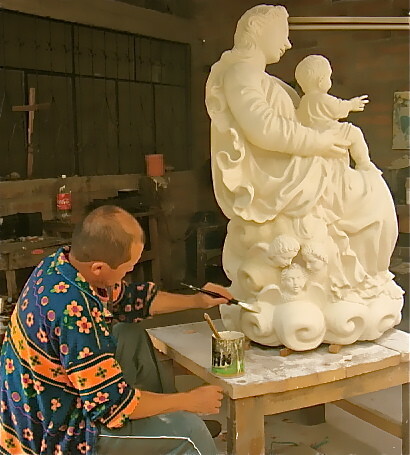 If you love art and fine crafts and want to earn income in Ecuador, you can visit Diana’s workshop on our upcoming Ecuador export tour. 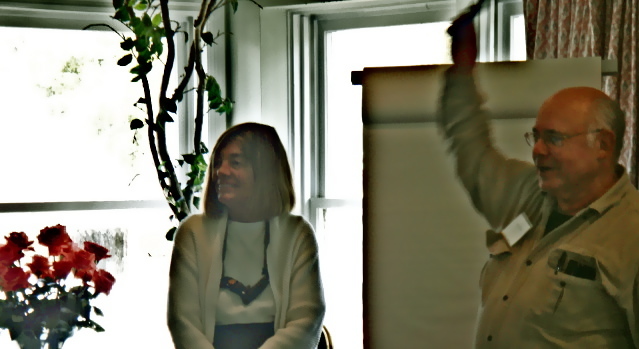 What was the reason that Merri was invited to this heretofore secret workshop? Diana is beginning to retire from her work. 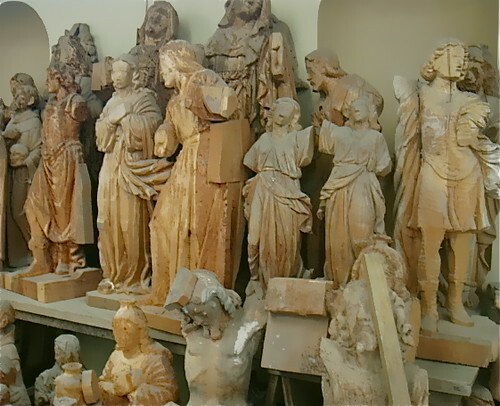 She is now wanting her faithful workers, designers, painters and woodcarvers to continue to thrive by opening this workshop to our readers and friends! Although we regret that Diana won’t be as active as she has, we are thrilled to offer this beauty and uniqueness of her special long trained creators. 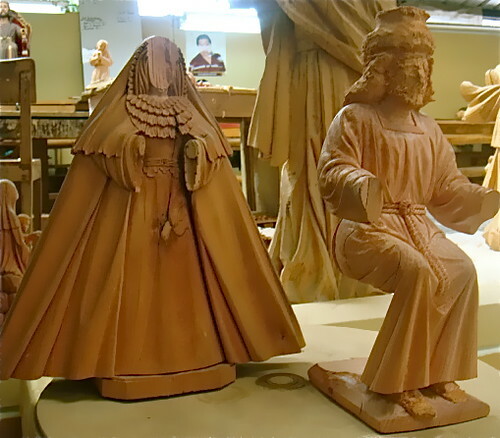 Join Bonnie Keough in April for the Export Expedition and visit this extraordinary studio and workshop! We just finished our latest Super Thinking Plus Spanish course in Mt. Dora, Florida. Here are delegates intent on absorbing Spanish. Spanish is the second largest language in the world. Chances are a huge Spanish speaking population lives south of or around you. Yet our language system did not teach us how to communicate with or understand this culture. Learning Spanish is valuable and important. Now there is way, to enjoy a long weekend in the cool mountain sun as you learn Spanish at a very affordable price. Here are the 40 delegates at this course enjoying a coffee break. Delegates help each other learn. They came from all over the world… The USA, Canada, Europe…even South Africa. Sri Lanka & China. To learn in the sun is fun! Enjoy a week of direct sunlight and solve one of the biggest communications problems that faces a great deal of the English speaking civilization. 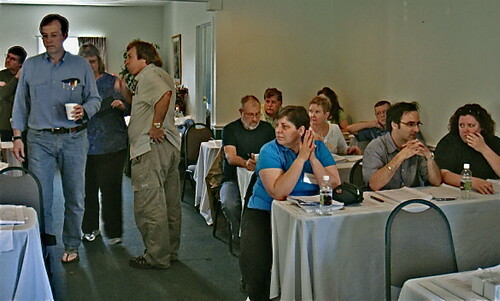 The course had four instructors. Each Super Thinking Plus Spanish course has at least two teachers… one teaching the Super Thinking science and one native Spanish speaker. 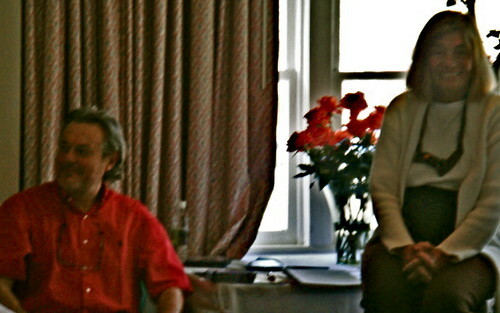 Don Childs was our Spanish teacher at this course. Here is Don. Don & Merri. A delegate just created a great sentence. Congratulations! Merri and I taught the science along with Jean Marie Butterlin from Spain, who will teach the science sessions at our May 2010 course in Cotacachi. 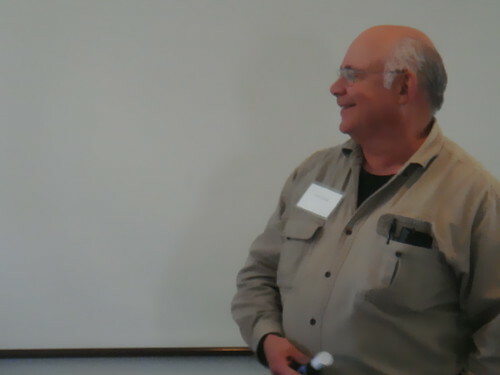 Here is Merri with Jean Marie at last weekend’s course. Learn super thinking. Clear up your memory plus become skilled in Spanish (in just four days). 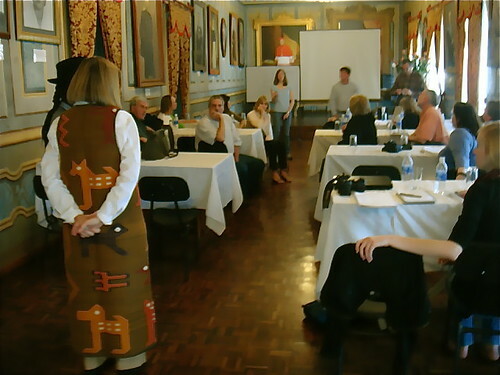 I invite you to attend our “Super Thinking – Plus Spanish” course in Cotacachi, May 9-12, 2010. 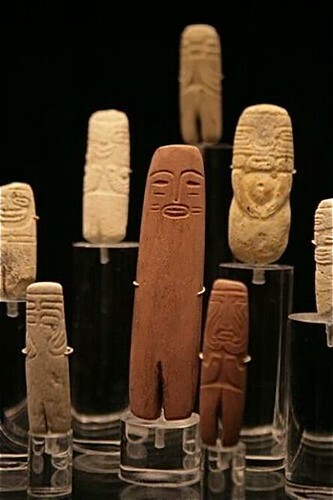 There has been such a demand for the Super Thinking Spanish that we have added this course before our shamanic tour in May. There are numerous little known, but scientifically proven ways to enhance the speed, accuracy and efficiency of your decision making process for greater wealth, health and happiness. In just a week you can gain almost amazing learning skills. Plus you become skilled in Spanish as a bonus. In just four days! 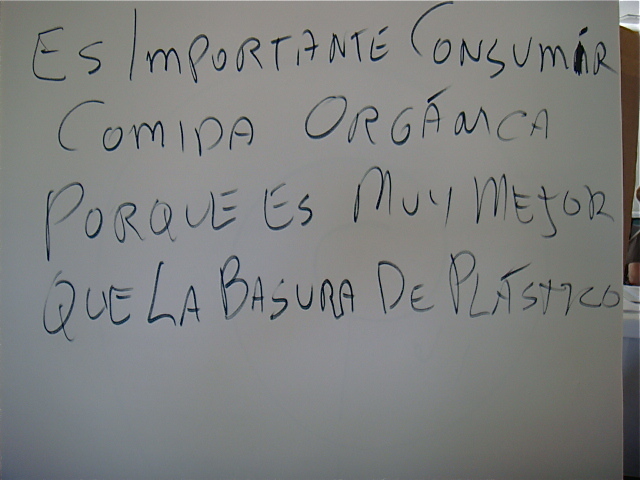 Here is the photo of the white board at last weekend’s Super Thinking plus Spanish course written by a delegate. Delegates were creating, speaking and understanding sentences like this after just four days. 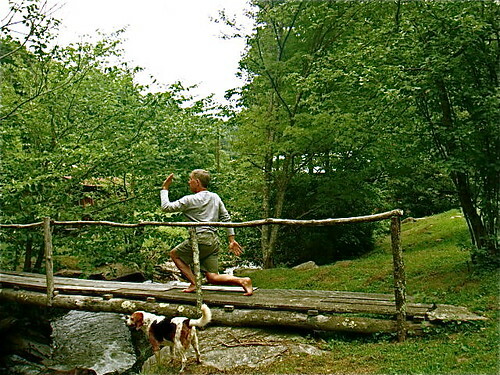 Merri was among those few who learned how and is licensed to teach the Lozanov system from this Bulgarian master. She has organized a program for you min Ecuador that offers a practical course on how to learn faster and better. With her modified system, you will learn how to think and learn more powerfully in just four days. To prove how good you will be with this process, you learn Spanish as a side benefit. For example you learn how to evoke the power of the senses thus super-charging memory. Ever hear a song from twenty, thirty or forty years past and in a snap know all the words, the tune and remember with who and where your heard it decades ago? Learn how to use ten cycle music to gain almost super human thinking powers. You will gain seventeen, easy to use learning techniques that can help you gain any type of skill from computers to athletics to conversational languages–in much less time than traditional learning techniques. “Super Thinking – Super Spanish” presents new ways to use subliminal memory, music and much more to supercharge your mind. The knowledge you gain about smart food and super nutrition allows you to enhance productivity and creativity. Once these concepts are understood, you will know how to create your own program and build new skills at work in study and play. In addition you gain all the tools to quickly become fluent in Spanish. Spanish is the second most spoken language in the world. Chances are a huge Spanish speaking population lives south of and around you. Yet our North American language system did not teach us how to communicate with or understand this culture. We can all do with a bit of Spanish. You do! Fluency in a language is considered to come when you know 1,200 words. To prove that it is possible to gain this and much more, let me share one tactic Merri taught me that gives you thousands of Spanish words in less than three minutes. The fourth lesson shows how to avoid conjugating verbs by sticking with the infinitive (far easier than it sounds). This simple lesson leaves you sounding like a Spanish professor (believe me I know as I use this tactic every day when in Ecuador). 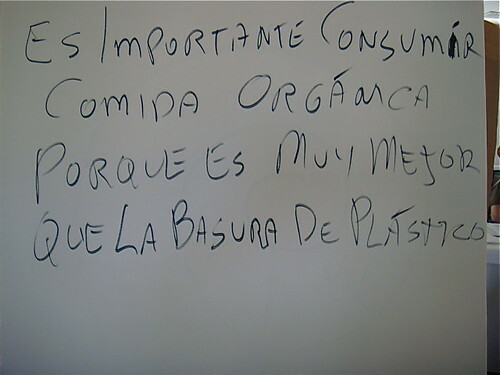 Lesson five shows how to sound infinitely polite and yet get almost anything you want in Spanish. 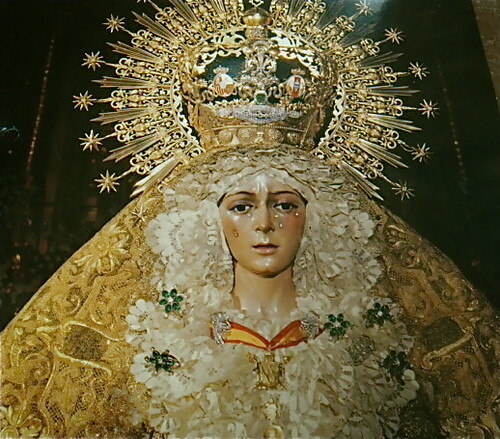 Lesson six gives you the valuable connectors and the seventh lesson triples your Spanish capacity with yesterday, now and tomorrow. By the end of the four day course you will feel quite comfortable speaking Spanish without stress! You gain all this in the Super Memory + Spanish course. Plus there is one more benefit. The course will be conducted at the quaint, colonial Hotel Land of the Sun (formerly Meson de las Flores) . Here is the hotel’s courtyard with Alberto Verdezoto who will be the Spanish instructor in May. Each lesson you gain will be customized to an event. 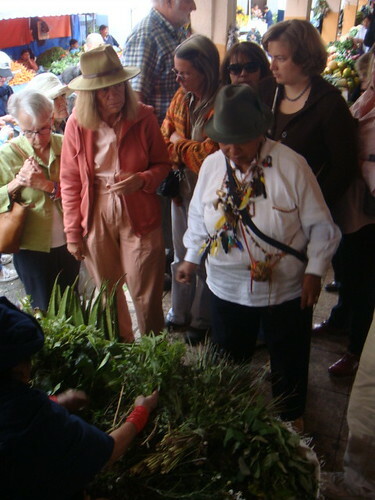 For example one day you’ll visit Otavallo, South America’s largest indigenous market. The lesson before will prepare you for this trip because using what you learn helps lock in the knowledge. 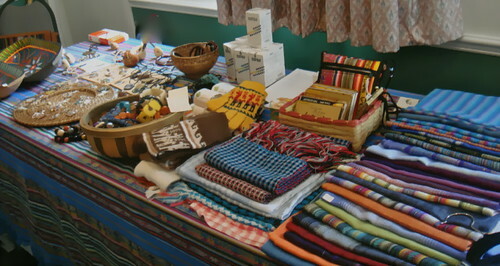 Here are Ecuador exports that Bonnie Keogh (who leads our Ecuador export tour) displayed at our Mt Dora Spanish course (since many of the course delegates were joining Bonnie for our April export course). Each day teaches you Super Thinking, Spanish plus also includes a tour. 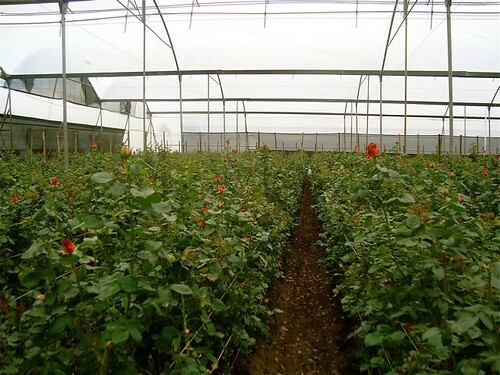 Learn how to gain earning freedom with Ecuador exports. 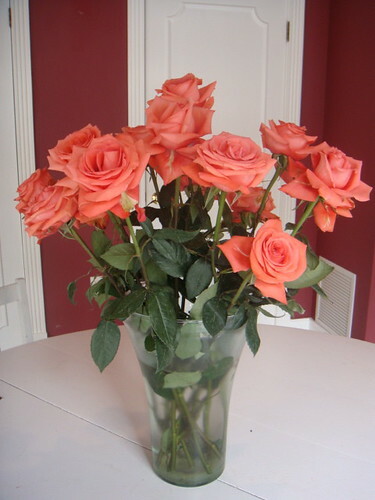 Learn how to earn income globally exporting Ecuador flowers at our Ecuador export course. 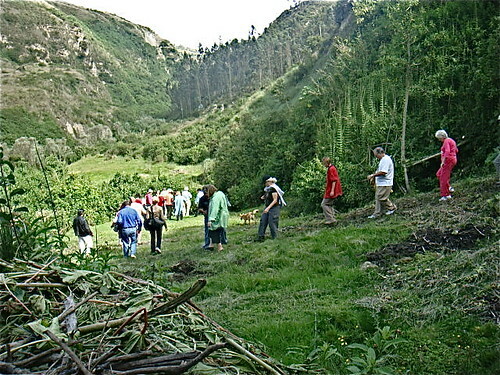 Our main April conference is our Ecuador Export Expedition on April 12-15, 2010. See how weaving stories into Ecuador tapestries enhances value. Adding income earning power is important to many of us and Ecuador exports is one way to make extra money because they come in many forms. 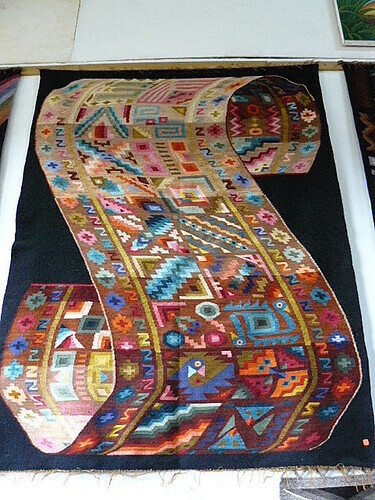 Ecuador carpet. You can buy them in a number of markets. This shot was taken in Otavalo Market. These carpets are beautiful… as is and you can bargain hard to get a good price. Yet they are just carpets. The second way to export and enhance value is to modify the product. double woven design and modify it… even with just a story… you enhance value. For example the sacred geometry, animal protein of the wool and extra thickness could make this a special yoga pad. Now the product is worth more than just a carpet. a carpet. Now this is much… much more than a rug and can be sold for much more! Here is another… make from scratch… Ecuador export that will suit someone. 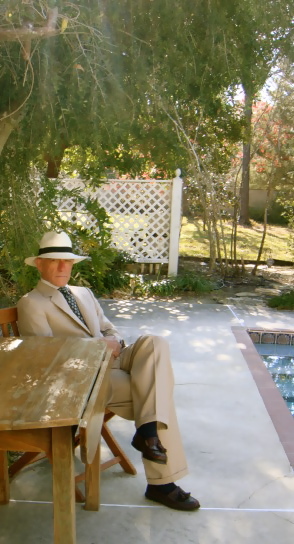 I did not own a suit for more than twenty years. My blue blazer is classic and the microfiber sport coat bought a decade ago or so has survived more miles crumpled in an airplane than I can guess. With these two pieces I always managed to get by. I start our seminars with a coat and maybe… on a rare occasion a tie, but they are quickly abandoned for perhaps a sweater or anything that lets the blood flow all the way to the head without any knots getting in the way. Yet Ecuador export ideas are so good that I was forced a couple of years ago when our daughter Francesca was getting married to buy a hand made Ecuador suit. I ambled just down the street from our Hotel Tierra del Sol (formerly Meson de las Flores) with a friend Todd Smith. Todd was also in need of a suit and he took a photos of his and my brand new custom-made threads that cost only $130! Here is David… our tailor, a friendly man hard at work on the sewing machine. Todd picked out a fine, gray, wool material for his suit… his was the finest material the tailor had available so his finished product was higher $210. (Todd splurged on the best. My more modest French wool rann only $130). 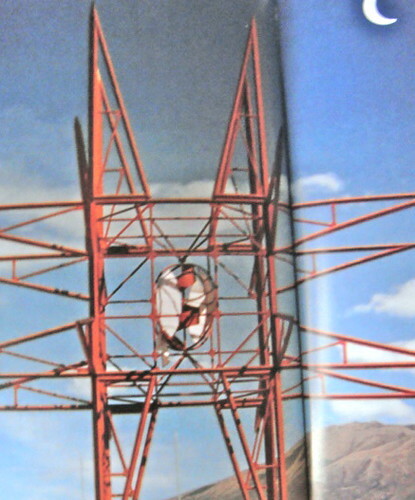 The tailor has a batch of modern men’s fashion catalogs that you can flip through and he makes any design you like. If people send measurements, he can even make a suit for someone without them ever having to come to Ecuador! They submit their measurements, select a material and a design, run their credit card, and two weeks later a new suit arrives in the mail. Here I am with Todd and our new suits then. Now our youngest daughter is getting Married. Congratulations Ben and Ele! 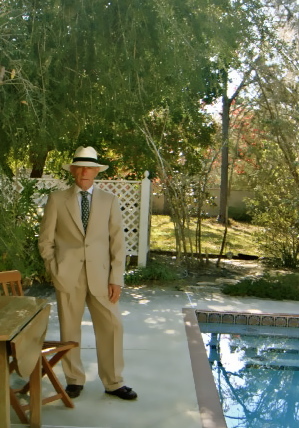 This will be a summer affair in the Cotswolds so I figured that a light wool summer suit would be required. I told David the tailor I only had a week. He delivered exactly on time. fitted suit of finer wool ran the price to $250… still a bargain. Here is a great Ecuador export idea. When I lived in Hong Kong 30 years ago tailored suits there were great and cost about $150. Many business people made a living traveling Europe, the US and Canada to fit people for really great, low costs suits. Now, I am not sure that travel is even be required. This is a business idea that should suit someone! 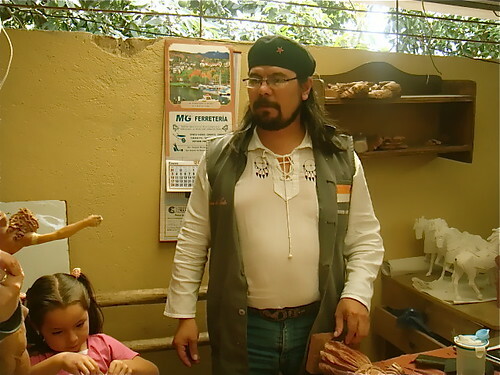 Learn more and meet David the tailor at our upcoming Ecuador export course. Here are details. Arrive in Quito for the Ecuador export course no later than April 11, 2010. Your Flight Data: As soon as you enroll, please send flight data so our tour guides can make all your arrangements. Quito has a beautiful airport, easy passage through Immigration and on time arrival of bags. There are carts available. After collecting your luggage, just stay to the right and move slowly through the hall. There is no inspection of luggage but there is an X ray scan for luggage at the end. You will pass through glass automatic doors and start up a slight ramp. An agent will need to see your baggage claim checks before allowing you to pass through. The Radisson Hotel will be there with your name. If you were to be on a different flight or have any troubles, don’t worry, they will be able to find you. If all else fails, take a taxi directly to the Radisson or catch their shuttle, which is just outside the Arrival Halls. If you are going to the Mansion del Angel, the driver will be there with a sign with your name and will transfer you directly there. If you would like to come early and/or just come straight out to Cotacachi (avoiding the high altitude of Quito), we can have a driver meet your plane and bring you on out ($55). We will make the reservations for you at the Radisson or Mansion, our price is a lot lower than on the Internet ($120). Our price for this 5 star hotel is only $68 plus tax. Just let us know your room needs. Departure: You will be returning to Quito in the late afternoon of April 15 and can depart on flights that evening or the next morning, April 16. Schedule: Depart April 12 from the Radisson at 9:30 a.m. The course begins right there in Quito. 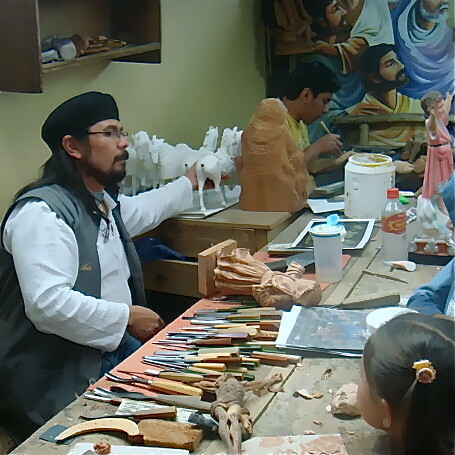 There are many interesting things to see and learn in Quito and on the trip down to Cotacachi. 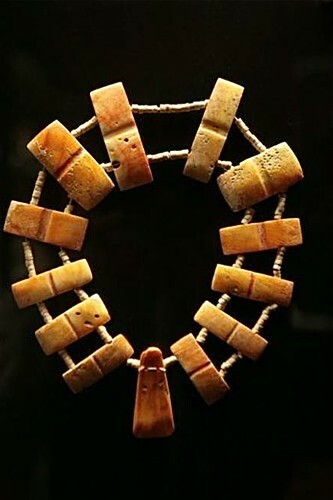 We start at the exquisite Olga Fisch Gallery and Museum with a lecture accompanied by the products themselves featuring the finest techniques, textiles, jewelry in Ecuador…and additionally the museum pieces from the private collection. Hotel Data for the Course: For the course, we will stay at Hotel Tierra del Sol (formerly Meson de las Flores) in Cotacachi. 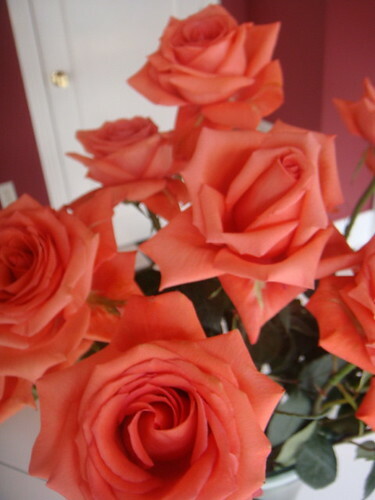 At the hotel, you’ll enjoy our inn filled with flowers and sunshine, roaring fires at night. It’s a 180+ year old hacienda converted into a small hotel. The conference will be held here, and this will be our home while we travel around. Meson de las Flores belongs to the Land of the Sun Foundation and is the seat of the foundation activities to help the indigenous. 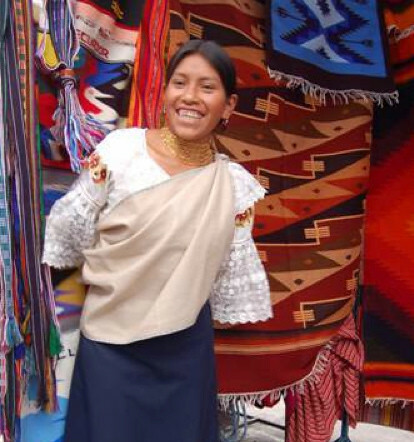 All proceeds from Meson go directly to the indigenous of the area and supports their projects. Meson is $59 per room, plus 22% Ecuadorian tax including a sumptuous breakfast. We have wireless Internet here so feel free to bring your own laptop. The wireless works in the courtyard, rooms, balconies, all over. We also have a free phone to call back to the US, Canada and all of Europe. Everyone can utilize these no fee services to stay in touch. We have a safe in every room and the water is good…although we furnish free bottled water also. Tierra del Sol is the oldest of the hotels in Cotacachi by at least a century and was purchased by our foundation 4 1/2 years ago. It is clean, comfortable, charming and full of character…but is certainly not pretentious or grand! It is a country inn, where Gary and I live and where everyone is treated as part of the family. We are grateful for your attendance and for your support in our projects and look forward to having you here in the the Andes. Calling from inside Ecuador: 06 291-6009 Also, you can call Tierra del Sol through a NC number 1-336-792-4767. Be sure and give this number to your loved ones also. Conference Itinerary and Schedule: The tour starts at 9:30 a.m. from the Radisson. Bonnie Keough, a very accomplished exporter and lecturer will be your guide. This month we are happy to announce our incredible Bonus! Bonnie Keough with Franklin Sandoval have created that makes it ultra easy for you to send goods in boxes back to the USA. This is a great opportunity, unheard of in the country and from my point of view from any country! Thanks to Bonnie! Daily: Full breakfast at 8 a.m. Tierra del Sol. Course begins at 9 a.m. at the Museum next door. We welcome a guest speaker who is Maggie Swartz from Charleston SC. She is an extremely successful exporter from Ecuador and makes a tidy $75,000 annually on her exports. She will speak, demonstrate and answer questions…a delightful lady with worlds of experience. Itinerary: After 12 years of traveling, digging, exploring and enjoying ourselves all over Ecuador; we invite those of you who want to really get out there and experience the Export Trail. You’ll gain exciting ways to increase your security, independence, freedom, wealth and well-being while helping this very deserving country and its indigenous people! What a joy! Each day we will have lecture with invaluable contacts, speakers, ideas and plans. 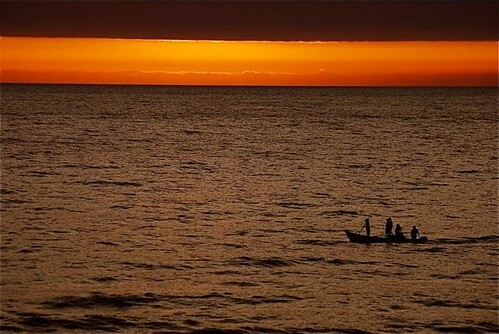 Then, we’ll head out to nearby stunning surrounding areas. 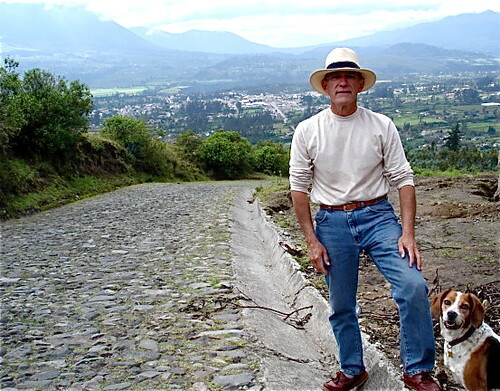 We’ll enjoy the green patchwork mountains and the sacred province of Imbabura. 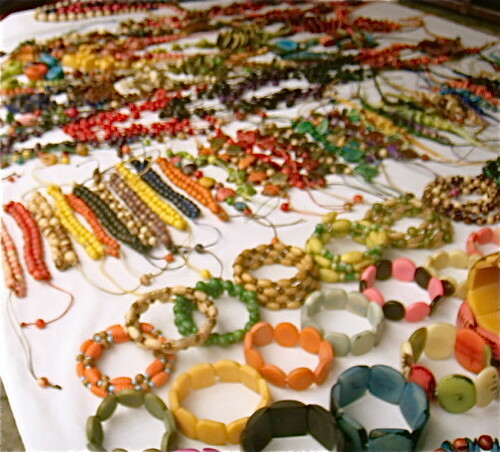 We’ll go to the markets, famous and obscure; visit the known and unknown…those who hand make, hand craft one-of-a-kind goods. We’ll meet the artists, designers, creators, craftsmen and visit them in their workshops, homes and markets. Otavalo (the most successful and colorful Indigenous market in all of the Americas) is a delight and we will meet a host of wholesalers. We’ll also visit the charming and small village of the weavers, Peguche, where the sound in the air is the clackety clack of the looms. 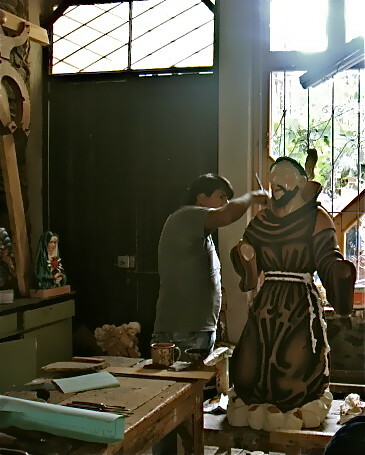 We’ll head out up the Pan American Highway to San Antonio de Ibarra for its world famous wood carvers and furniture makers. This year we scored another win by being allowed into Diana Carrasco’s personal workshops…she is the leading designer of Cuenca. 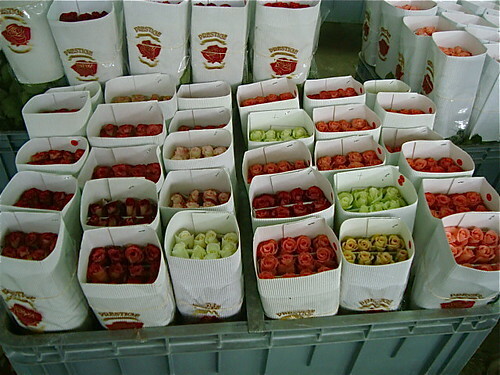 Ah, the flower growers are everywhere….ready and packaged for export…we’ll host Roberto who will help all with the exportation of flowers and with the tips of selling/marketing/wholesaling/retailing of over 25 kinds of flowers. And of course we are centered in Cotacachi with its famous leather market! We have searched, scoured and scrounged our way across this tiny Andean country to find special products and goods that you can export in a suitcase and make outstanding profits. We’ll travel through the Andes Highlands on the search for that special something that will make your eyes gleam with delight…both for its uniqueness and salability. Broaden your horizons as you increase your bank account. 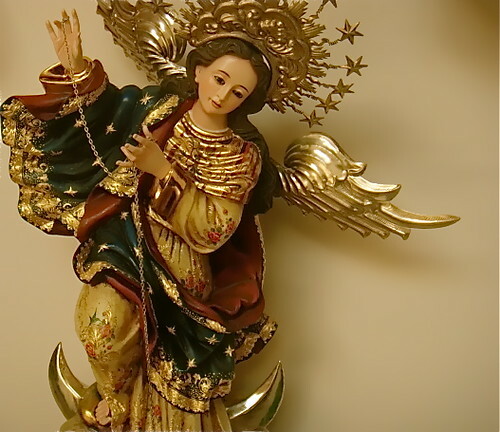 Help the poor and gain more fulfillment and fun. Improve the quality of your life, expand your horizons and reduce the tax you pay as you increase asset protection by having an overseas company and overseas income! 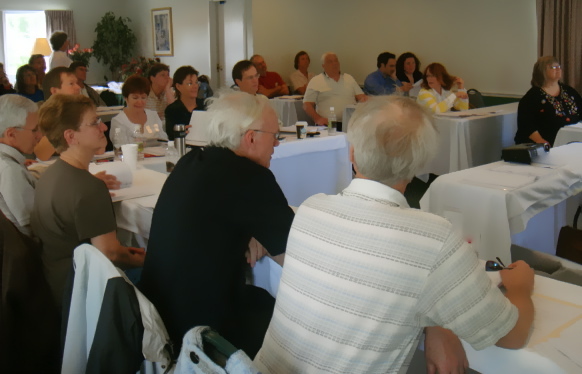 The goal of the course is to give you more than just knowledge. The course brings you real, usable knowledge and the after course support so you can put the knowledge you gain into action right away. 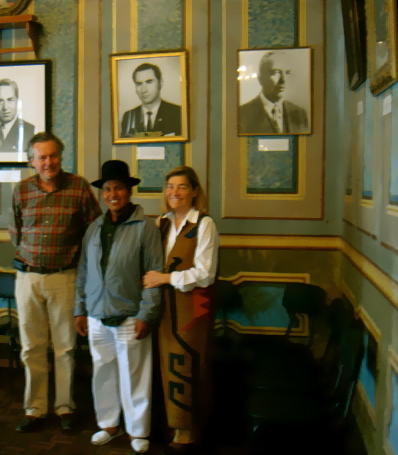 The Andean Export Expedition combines experience, theory, practice and contacts Gary and I have over thirty years experience living, working, importing, exporting and conducting businesses overseas and 15 years of doing business in Ecuador. This course promises to bring joys and wonders into your life as well as helping the indigenous. Please let us know how else we can be of service. Keep in mind, we will all make your reservations as soon as we have your arrival data.